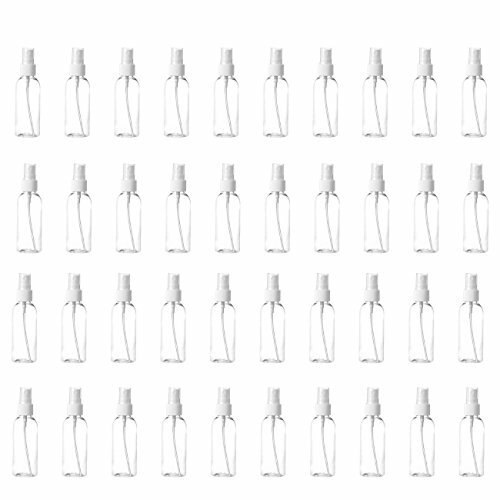 A set of 40 sturdy clear plastic spray bottles for all your needs. Never worry about a break or a loss with 40 pieces, you are sure to have plenty. Great for misting on perfumes, spritzes, sprays, floral waters and more. A convenient portable size makes traveling a breeze. 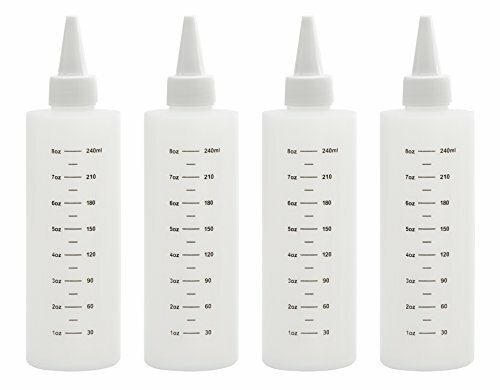 This bonus 6-pack of LDPE plastic squeeze condiment and dispenser bottles comes ready to go, with better lids that are less likely to leak than other products with less-suitable lids. 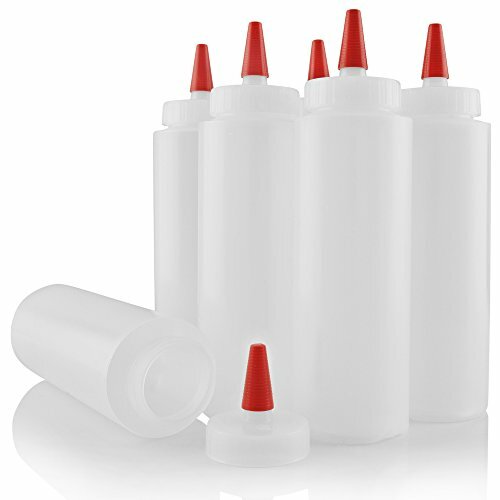 These are great for use in the kitchen for dispensing mayonnaise, ketchup, mustard, BBQ sauce, olive oil, vinegar, salad dressing, and are also handy around the workshop or garage for things like glue, lubricant, oil, or any other low to medium viscosity fluids. Other uses include tie dye, art and crafts, paint, ink for henna tattoos, cake decorating, general storage, and more. These small 12 Oz. 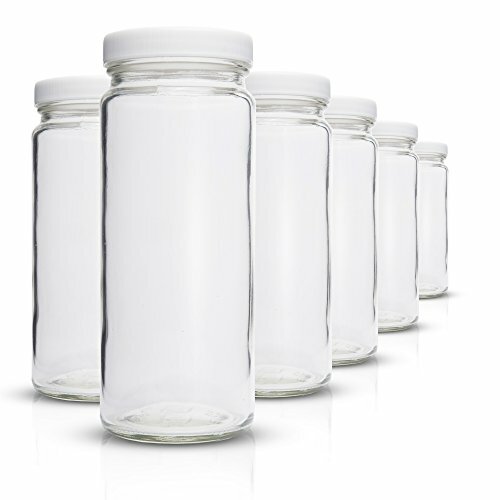 Empty Clear PET Plastic Juice Bottles / Container with Tamper Evident Caps by MT Products are the perfect product for anyone who makes their own homemade juices or smoothies and needs individual portions. They are also a great idea to store dressings, sauces, spices, condiments or any liquid. These bottles are not dishwasher safe. They are perfect for any of the following juices. Milk, Orange, Lemon, Apple, Gourd and Grape or Just plain old Water. These small 8 Oz. 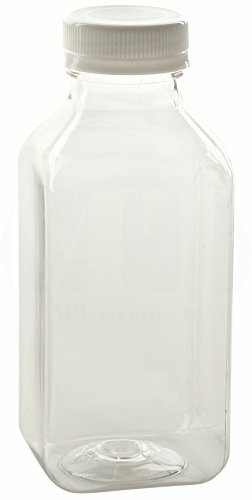 Empty Clear PET Plastic Juice Bottles / Container with Tamper Evident Caps by MT Products are the perfect product for anyone who makes their own homemade juices or smoothies and needs individual portions. They are also a great idea to store dressings, sauces, spices, condiments or any liquid. These bottles are not dishwasher safe. They are perfect for any of the following juices. Milk, Orange, Lemon, Apple, Gourd and Grape or Just plain old Water. 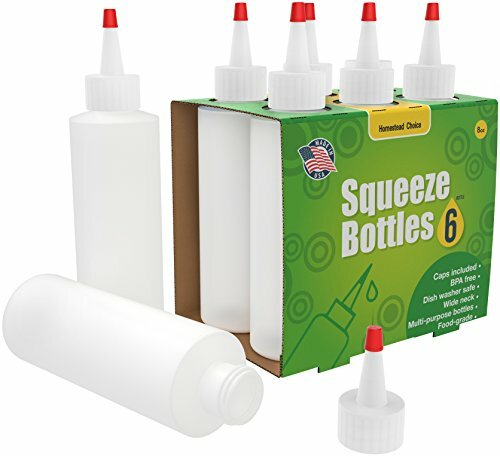 Made from HDPE (high-density polyethylene) plastic, these squeeze bottles our FDA approved for food grade. The push/pull cap is leak proof when closed. No worries about it leaking if accidentally tipped over. These sports squeeze water bottles are impact resistance. The large opening makes it convenient for cleaning as well as adding ice cubes to the bottle. A clear strip on the side lets you see how much fluid you have left. Measurements 7 3/4 inches high with lid on and 2 3/4 inches wide. Mouth opening 1 5/8 inches. So what makes these bottle easy to squeeze? Our plastic squeeze bottles with caps are made from LDPE (Low-density polyethylene) plastic recycle code 4. This plastic has a lower density which makes it more pliable and easier to squeeze, but yet just as durable as a more rigid bottle made from high density plastic. They are great for kids or people with a weak hand grip. LDPE can also withstand cold temperatures very well but are not ideal for heated liquids. These bottles are strong and have very good impact resistance. The dispensing spout already has a precut hole in the tip, you can easily cut the tip to increase the hole size to accommodate thicker liquids and prevent clumping if your liquids have larger solid particles such as minced onion or garlic. The WaterWeek is an inventive new way to take your water on the go. The 5 bottle carry tray makes it easy to transport your own bottle water anywhere you need to go. The bottles are made from impact resistant ABS plastic and features leak proof closures. 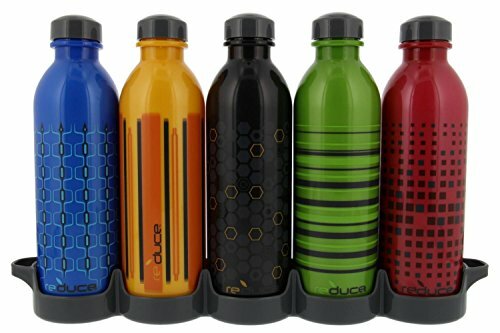 These bottles is the perfect economical solution to ending the cost of bottle beverage without sacrificing convenience. Simply fill, chill and go. 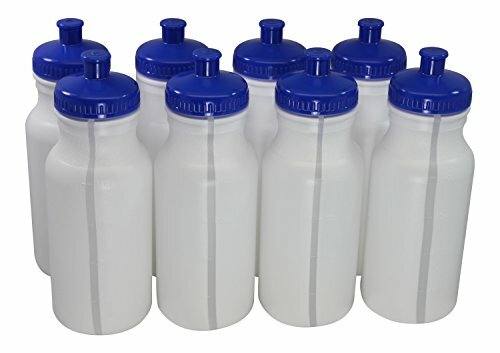 Compare prices on Plastic Bottle Sets at Shopsimal.com – use promo codes and coupons for best offers and deals. We work hard to get you amazing deals and collect all avail hot offers online and represent it in one place for the customers. Now our visitors can leverage benefits of big brands and heavy discounts available for that day and for famous brands.